Whether you’re new to photography or looking to step up to the next level, there are many bad habits that are easy to fall into. Here are 10 of the most common pitfalls and wrong turns that might be in the way of getting the images you want. Far too often, photographers (particularly newcomers) will spend their last pound on the most expensive camera they can afford. It’s likely to be a camera with a high-resolution sensor, and packed with the latest features, but if this leaves you with little money left over for lenses, you'll have to make do with run-of-the-mill, variable-aperture optics. It's like buying a Ferrari and trying to run it on chip fat oil – you simply won’t get the best results. Instead, if you are looking to get into photography, try splitting your budget for a better balance. Buy a good camera, but make sure you still have some budget left over for a decent, fast-aperture lens. A 24-70mm f/2.8 lens isn't cheap but it's a good investment, and cheaper third-party options are often entirely respectable performers. This will cover you for most photographic situations while giving you time to work out what additional lens makes the most sense for you, perhaps a wide-aperture portrait lens or a macro optic. Nobody wants to run out of battery life, or storage space, halfway through a shoot. Today’s camera batteries are better than they’ve ever been, but even long-life DSLR batteries will eventually go flat, so taking spares is essential. Own-brand batteries can prove to be expensive, so you may wish to purchase a third-party unit. These are typically more affordable, but you should make sure they meet all relevant safety levels. In terms of memory cards, these continue to offer every-increasing capacities at lower prices than ever, so a capable spare is always worth having with you. Many modern cameras have dual memory card slots, which give photographers the option of extending shooting capacity or making an instant backup. Cameras are the tools of a photographer’s trade, and like any piece of equipment, they need to be maintained. Every time I return from a photo trip I empty the camera bag and use a microfibre cloth to clean each piece of equipment, before putting it all back into a hard case for protection. There is, however, one element of maintenance that you may want to leave to the professionals. No matter how carefully you change lenses, specks of dirt and dust will eventually find their way inside the camera and onto the sensor, which will affect image quality and mean you have to spend longer in post-processing cloning these out. 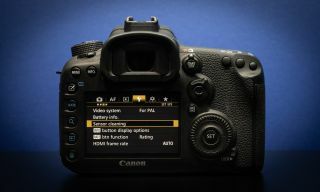 Your camera will probably have a built-in sensor-cleaning mechanism but this can fail to shift more stubborn particles. One option is to invest in a sensor cleaning kit and learn how to do this yourself, but another solution is to have this professionally cleaned once every six months. This is a service many camera dealers now offer. If you’re shooting portraiture or landscapes, you’ll know how the right location can make or break a photo. Location scouting shouldn’t start when you pull up in the car and take the camera out of the bag, though. If you leave yourself with too little time to scout, the chances are that you’ll simply settle for a below-par location. The solution is to do your research beforehand. Use resources like Google Maps (and the Street View mode), together with 500px and other image-hosting sites to give you an idea of the compositions that are achievable from accessible viewpoints. Also take note of the lighting conditions, such a where the sun is at critical times of the day. Apps like PhotoPills can tell you when and where the sun will rise on a date and location of your choosing. Newcomers to photography often make mistakes based around composition as it can take a while to hone the skills of balancing focal points in the frame. Following the rule of thirds can help in many situations, but one faster route to avoiding boring compositions is to actively take images from a position other than head height. Why should you do this? This is the view we’re accustomed to seeing with our own eyes, so images have to work harder to stand out in any way. An elevated position, such as one that can be achieved with a drone, can help, while an ultra-low-angle viewpoint can work very well for nature shots, giving viewers a worm’s eye view of the world. Some mistakes photographers make aren’t about using equipment, but rather their approach to creating an image. With all the resources on offer, it’s easy to see another photographer's work and try to replicate their particular style. Maybe it’s the sort of lighting they use, or perhaps a signature combination of focal length and subject (a fish-eye portrait, for example). Taking inspiration from great photos is fine, but simply replicating the shot is a mistake. Aim to develop your own style and you’ll advance your photo skills at a much faster rate. How many times have you made the mistake of leaving the camera at home, only to be greeted by amazing light and perfect subjects that would have made a stunning frame? Keeping a camera to hand will enable you to capture an image whenever inspiration strikes and will prevent you missing out on opportunities. Sure, you may not be able to always take your DSLR everywhere, but even smaller, pocket-sized cameras enable photographers to craft creative images with a low noise and shallow depth of field. Today’s cameras are capable of capturing Raw files that are packed with information. These files can be used to hide a multitude of exposure sins, enabling shadows to be recovered from underexposed files, and some highlight detail to be recovered from blown-out areas. It's easy, however, to make the mistake of relying too much on the image-editing process. Getting the exposure levels right as you shoot is still a better idea to pushing pixels in software like Adobe Lightroom. An additional mistake photographers make is to push adjustments like Saturation and Clarity too far, which not only affects image quality but doesn’t make for a nice picture. Anybody who's seen an overcooked HDR image will know how garish this can be. Not a day goes by when we hear a tale of a photographer's images being stolen from the internet, and this can prompt worried shooters to take drastic action, adding watermarks to their images before uploading onto image-hosting sites. This is, of course, a personal choice, but I think watermarking is a mistake. Having something that distracts from viewer from the beauty of the image is never a good thing, and if someone really wants to steal your image, they’ll probably either crop or clone out the watermark anyway anyway. Protect yourself by only uploading images at a smaller size to deter anyone who may wish to use them elsewhere. Photography is a pursuit that can lead shooters to think the world is against them. On top of equipment mishaps, the fickleness of the weather can ruin a day out with the camera. I’ve lost track of the amount of sunrises I set the alarm clock for, only to be greeted by grey cloud. The mistake is to give up too easily, and a better approach is to adapt to the conditions. So, if it’s a dull day, try shooting in black and white, or maybe consider using a strong ND filter for a long exposure to blur clouds into a more ethereal result. Or, explore what you can achieve indoors, such as with a macro or still-life setup, or maybe even portraiture if you have a willing model.